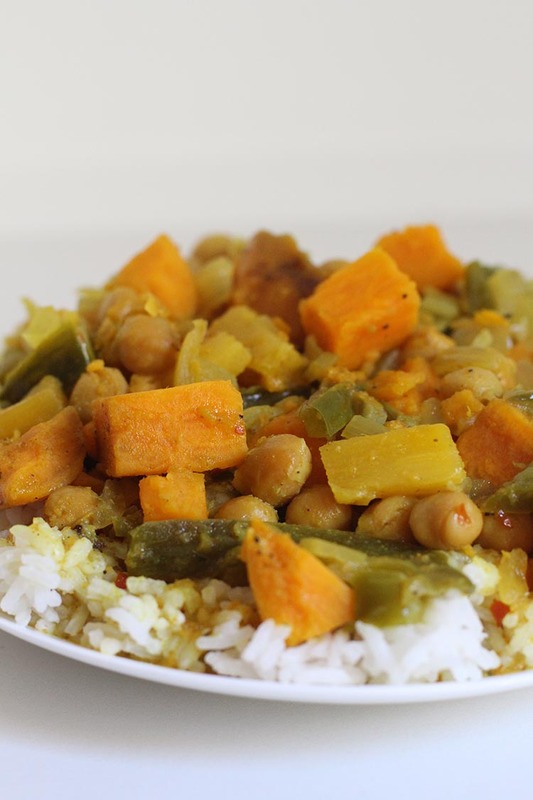 Here’s a recipe for Slow Cooker Thai Pineapple Curry that’s absolutely delicious. I can’t count the number of times that I’ve made it recently – probably five times in two months! The combination of spicy and sweet can’t be beat, and I love that it’s healthy too. This is one of the recipes from my new Slow Cooker Freezer Meals mini eCookbook and I’m excited to share it for free. I like to assemble my meals and freeze them for later (The directions below will walk you through the process step-by-step). You don’t have to do any cooking ahead of time, so the meals are super quick to prep and there’s nothing easier than dumping a meal into your slow cooker in the morning. Plus, the meals cook for the first time out of the freezer and don’t taste like leftovers at all. Yay! While I love having assembled dinners waiting in my freezer, there’s no reason why you can’t skip the freezing step and place all of the ingredients directly into your slow cooker instead. Enjoy! 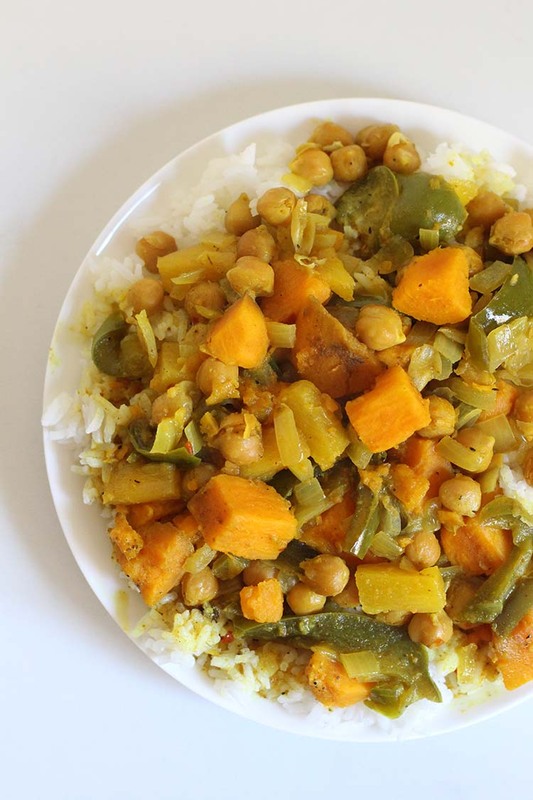 This is a sweet and spicy curry that tastes great served over rice. I would rate the spiciness 5/10. If you want to decrease, add less red pepper flakes. Serve with jasmine rice. 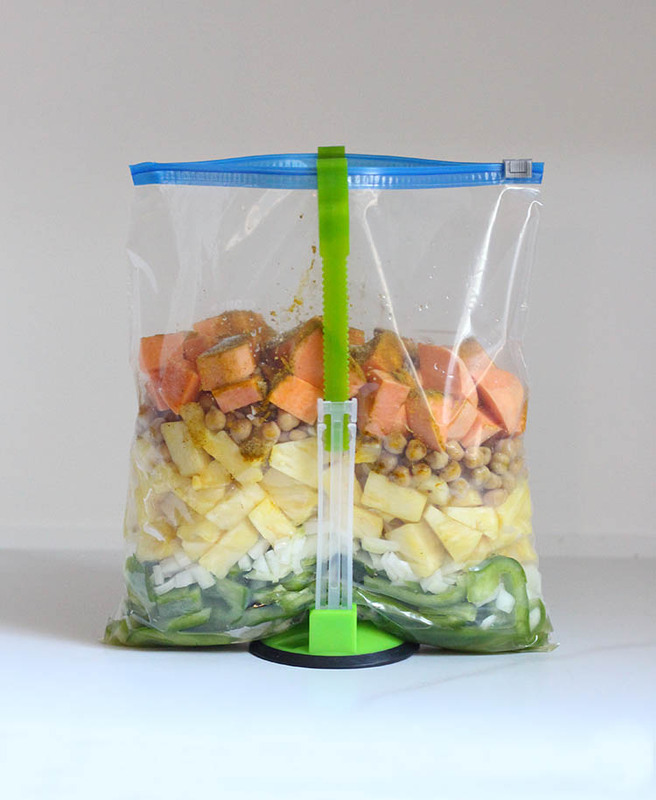 Add all ingredients to your freezer bag, remove as much air as possible, and seal. Add to slow cooker and cook for 6-8 hours on “low” setting or until onions and peppers are tender. 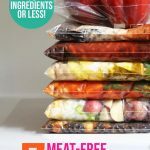 + Meat Option: Add one pound boneless, skinless chicken breasts, cut into bite-sized pieces to your freezer bag (raw). CLICK HERE FOR A FREE PRINTABLE VERSION OF THE RECIPE WITH NUTRITIONAL INFO AND FREEZER MEAL LABEL. 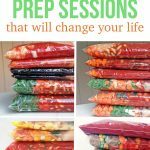 Over 10,000 people purchased my Freezer Cooking eBook Bundle this year and changed the way they cook dinner. Join them today! I just ordered several of your ebooks but gave the wrong email address (I used part of my personal email and part of my work email). I really want to use the ebooks as soon as possible. Can I fix my error? Yes, absolutely. Just send me an email and I will reply with new copies. I’ve never heard that recommendation before. The USDA Food Safety and Inspection Service says that freezing to 0 degrees F inactivates microbes present in food (like bacteria, yeasts, and molds). The standard freezer setting in the United States is 0 °F so I think we should be fine. Loved it, as did my husband. 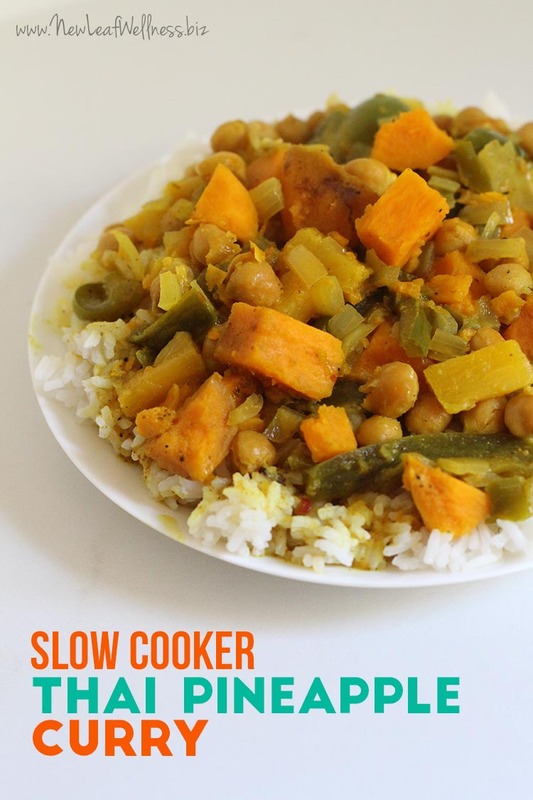 We’ve been searching for solid meatless recipes, and this is, hands down, one of the best slow cooker dishes I’ve ever tried, period. Thank you, Kelly, for the recipe. I ordered some of your eBooks yesterday and am not seeing the link to the books i ordered. What do i do? Hi Nadine! You should have received an email with links to download immediately after purchase. I just emailed you new copies! Thank you for your purchase!! This is such a delicious recipe! I used red curry paste and added chicken breast and 1 cup broth. 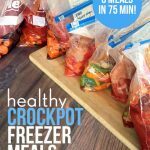 Thank you for sharing your recipes for freezer to crockpot meals! They got me through the first months after having my second child.